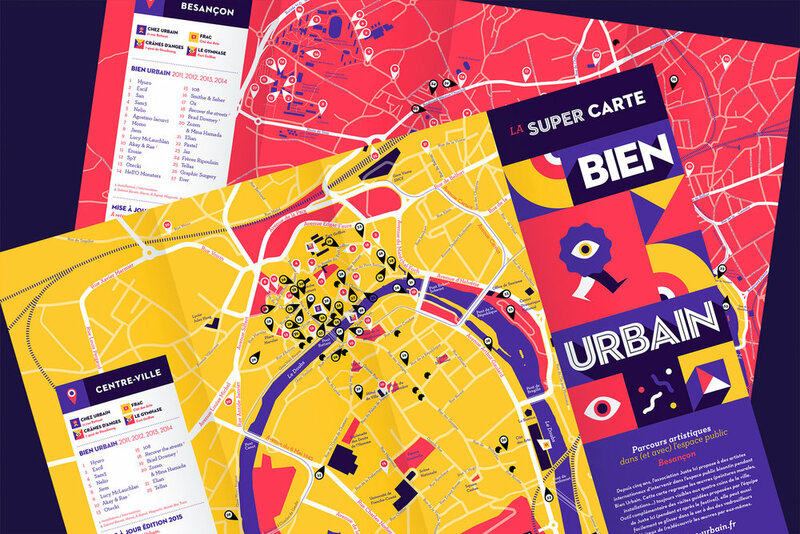 Bien Urbain is an artistic route through (and with) urban spaces. Each year and during 2 weeks, the festival hosts around 15 of the most influential current international artists (murals, installations, multimedia creations …). 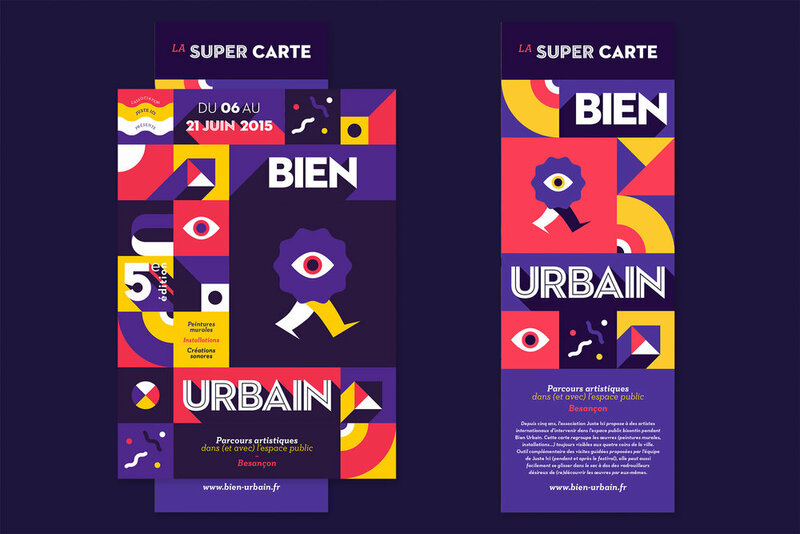 For the 6th first editions, I made the festival identity, with the precious help of my dear friend SmallStudio. Colorful, modular, and joyful, here's the 6th edition identity.